John Nixon was born the son of Sarah Bowles and Richard Nixon, a prominent Philadelphia shipping merchant and owner of Nixon’s Wharf on the Delaware River. After being educated in the business rather than in a formal school setting, Nixon inherited his father’s shipping and mercantile business in 1749. He soon became involved in public affairs, chosen a lieutenant of the Dock Ward Company in 1756, a warden of the port in 1766, one of the signers of paper money issued by Pennsylvania in 1767, and a manager of Pennsylvania Hospital, 1768-1772. In 1765 he married Elizabeth Davis; together they had five children. During early conflicts with the mother country, Nixon was an ardent proponent of the colonies. 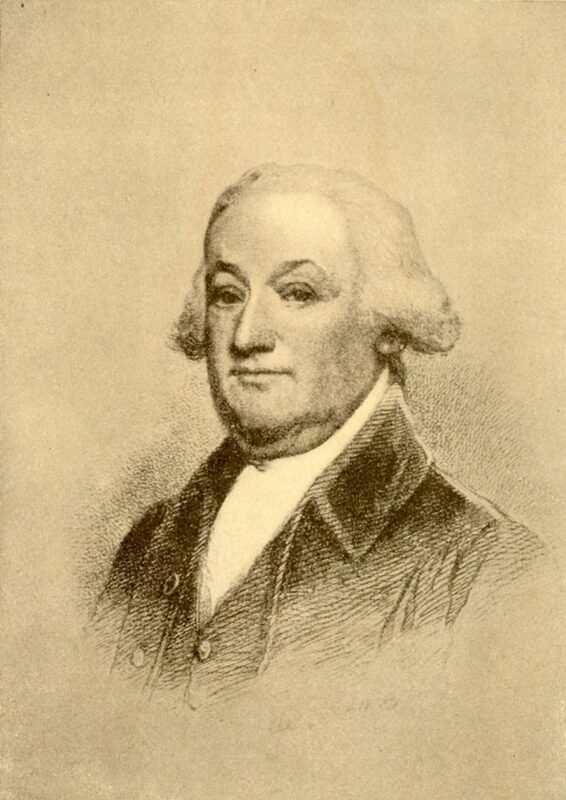 He signed the Non-Importation Agreement in 1765 and actively opposed the Stamp Act. When the Revolutionary War began, he joined the Committee of Safety, often acting as its chairman. As a lieutenant-colonel in the Third Battalion of Associators (a unit comprised of wealthy “Silk Stockings”), Nixon saw military action at the Battles of Trenton and Princeton. He commanded the defenses of the Delaware at Fort Island and the Philadelphia city guard. Nixon, however, is best known as the first person to publicly read the Declaration of Independence, which he did from the steps of the State House on July 8, 1776. In 1789 Nixon was one of the organizers and a director of the Bank of Pennsylvania, organized to supply the United States army with provisions and supplies. In 1784 he became a director of of the Bank of North America, the first national bank, serving as its president from 1792 until his death in 1808. In later years, Nixon served as a trustee of the College and Academy of Philadelphia, from 1789 until the 1791 union of the College with the University of the State of Pennsylvania to form the University of Pennsylvania.